An intermediate course I play a lot. Flat and nice to walk. Low-handicappers might find this course not much of a challenge (although off white tees it will be much tougher). Open course – wild drives not often in a lot of trouble. A good variety of holes. Small sociable clubhouse with good service. The menu del dia is typically good quality and good value. Staff at the starters hut and working in the car park (arranging buggies and trolleys) are helpful and polite. 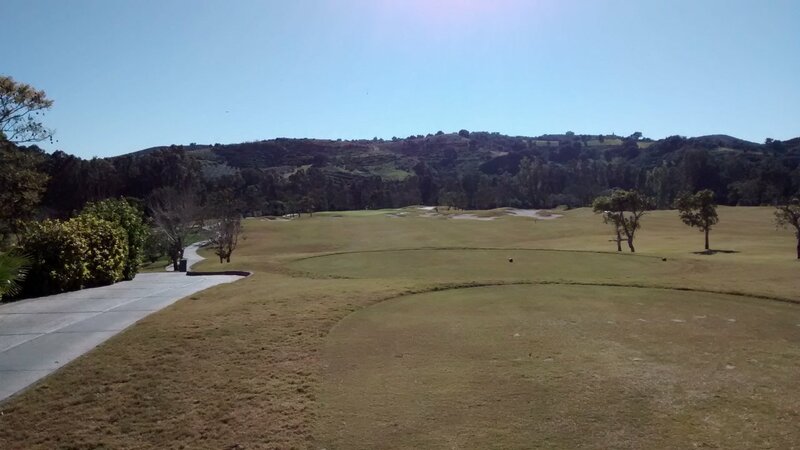 This course is one of a few in the Mijas valley that people in that area play separately from other courses. So Santana gets 'local traffic' i.e. people play there because it is local and not too difficult. The course is quite busy - has a number of golf societies playing there and gets quite a lot of touring golf parties playing the course. The fairways here are fine (consistent and fair length of grass). The greens are mid-sized with moderate slope. They are generally medium-paced, although I have sometimes found them very slow and bobbly (the ball bobbles up and down along the green on the way to the pin). I suspect that was simply because they had not mowed their greens enough, so slightly different grasses in the greens were growing to different lengths. This is a maintenance problem, not a fundamental problem with the structure of the greens. Some courses on the Costa do not have proper sand (like fine-grained beach sand) in the bunkers. Some have what is fairly course sand like milled granite – mainly to stop the sand blowing away in the wind. Santana is one of those courses, so bunkers can be compacted and difficult to get a sand wedge under the ball to loft the ball out properly. Santana was designed by Cabell Robinson – an American-born golf course designer who has been involved in the initial design or re-design of a number of golf courses on the Costa del Sol. I like his designs – at all levels of golf course. So Santana has good pedigree in terms of course architecture. It also has quite high ranking on Web sites that rate golf courses in Spain. However I think Santana is over-rated by many people. 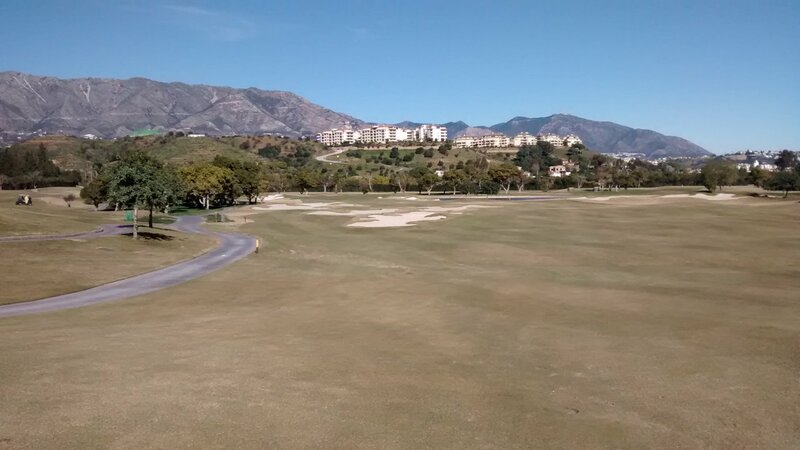 Sure it is a nice golf course, but since it was built many other golf courses have been constructed on the Costa del Sol and Santana now has lots of competition from newer mid-priced golf courses. Santana is also not particularly cheap in my view. About 10%-15% over-priced for what it is, particularly during the high season. But overall still a pleasant course for a not very challenging round. A course I use to concentrate on the fundamentals of my game. A good course for all levels of golfers. A course I play regularly, but would not describe as a favourite golf course. Santana is built in a former avocado plantation and there are still many avocado trees remaining. There are also other fruit trees such as oranges. The best months to collect this fruit are December and January, so bring a plastic bag if you plan to collect as you go around the course. Review last updated: August 2015. Number of times played: 20+. Santana is represented by the yellow dot. 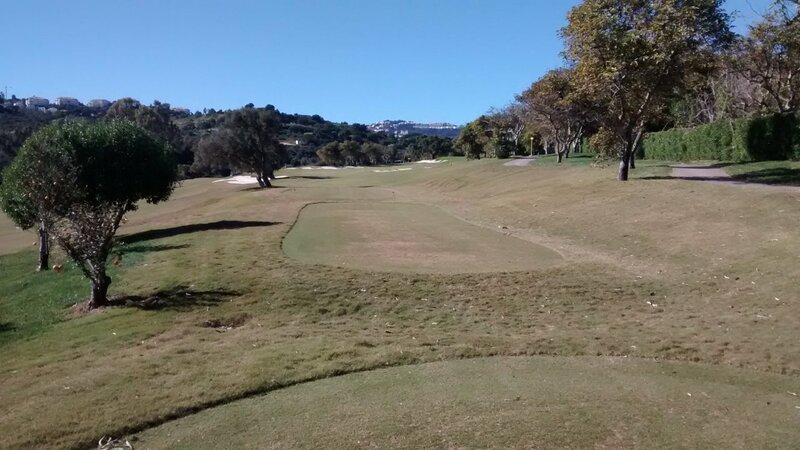 This shows that the course is slightly less than average length compared to all other courses on the Costa del Sol, but is one of the easiest - in 'bottom 5' in terms of difficulty. An 18-handicap player can expect to go around this course between 17 and 18 over par i.e. just under their handicap.